what the heck? 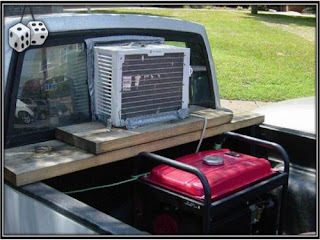 Is that A/C ? Desperate times call for desperate measures I guess! Have a cool day! Oh, wow! That looks like a great solutions!